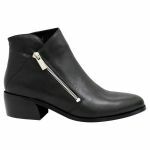 Candis by Django & Juliette is a smart low heel cropped ankle boot. 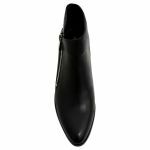 You would wear Candis to work or even a smart casual event. 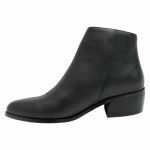 Candis has a padded footbed for all-day comfort and really soft black leather. We recommend protecting the leather with our Waproo Water & Stain Protector and maintaining it with our Waproo Zorbel Leather Conditioner. 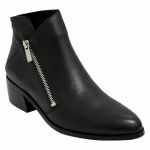 Candis has one outer ankle zipper on each foot and is finished with a wrap style detail. 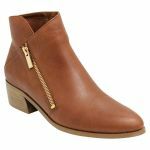 Candis has a pointed toe and a block heel. As Candis has a pointed toe there isn't much wriggling room for people broader across the toes.